As many of you know the National Parks Service (NPS) has shutdown hundreds if not thousands of our national parks all over the country. This week our valiant WWII veterans came to Washington DC to visit the WWII Memorial monument only to find that the NPS and local law enforcement had placed barricades that barred the public from accessing the memorial. 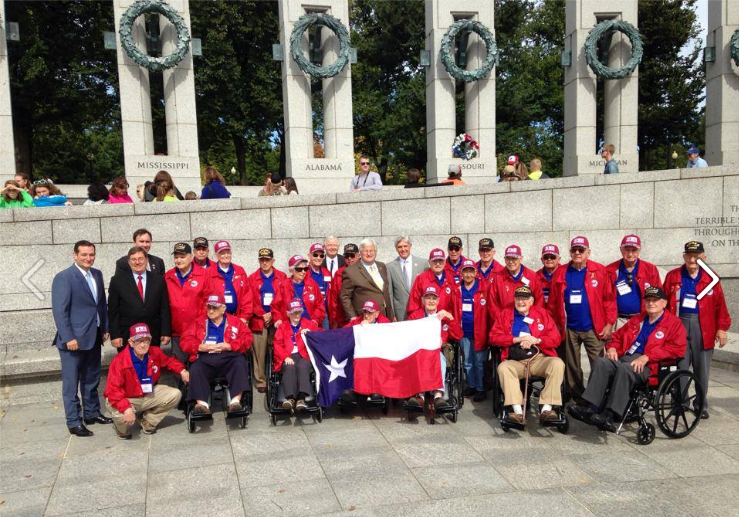 These WWII vets are in their 80-90’s and for many of them this will be the last visit to their memorial. This Tuesday various Open Border supporters gathered at the area that was supposedly CLOSED to the public in a public protest over our Immigration laws and to show support for the immigration bill that is in Congress. Also to show support were over 8 leading Democrats who were publically arrested, cuffed and lead away for disorderly conduct! 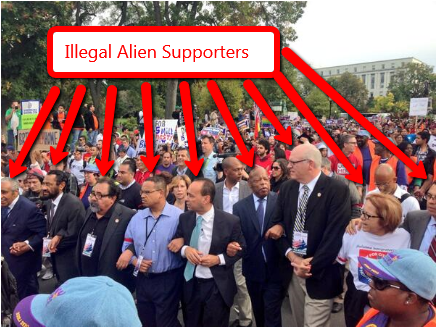 So we have to assume that our elected OFFICIALS have somehow pulled special “Strings” to get the Illegal Alien supporters permission because the NPS says they granted access to the area because the protest was covered by “Freedom of Speech” ! Did you hear that “FREEDOM OF SPEECH”! Note the WWII Vets fought in a war to grant these IDIOTS the right of Freedom of Speech so NPS could refuse our VETS access and allow the Open Borders, left wing Nutcases to protest! I guess we are now living in a Alternate Universe where Wrong is Right and Front Is Back! Time to resolve this by telling Your Elected Officials that you will not stand for this Bad Behavior, you elected them and you can Throw these people out of office by your Vote in the Next election! Make your voice heard, pass this along to your friends, share it on Facebook and Tweet about it! Americans Must stand up against these actions. This entry was posted in Criminal activities our Elected officials do, Government Fraud, My Thoughts, Stupid things our government does and tagged Illegal Aliens.